The same day that City Council voted to approve the new $95 million police academy plan in West Garfield Park, mayoral candidate Lori Lightfoot spoke at the University of Chicago about the need to build an even more expensive and expansive police academy. Lightfoot clarified that she does not support the current proposal “as is,” but that “we absolutely need a new training facility,” and “to do it right it would cost far more than” $95 million. She cited the New York Police Department’s new $750 million training center as an example. To Lightfoot, a police training center done right should involve more community engagement and “academic development.” Notably, she said the city should consider turning some of the thirty-eight remaining vacant schools of the fifty closed by Mayor Rahm Emanuel into police training facilities. During the Chicago Public Safety Forum last week, hosted by the UofC’s Crime Lab, Harris School of Public Policy, and Institute of Politics, mayoral candidates Toni Preckwinkle and Lightfoot were featured separately for forty-five-minute question-and-answer sessions about solutions to gun violence. For the first time in this election, there is a clear juxtaposition between the futures Preckwinkle and Lightfoot want to deliver, and how they envision a safe Chicago. Preckwinkle spent more time than Lightfoot talking about a variety of solutions to crime, including investing in free meals, after-school programming during the peak hours for crime (4pm–7pm) and turning more vacant properties over to a public land bank. Lightfoot focused all her answers on the criminal justice system. Progressive voters who care about criminal justice reform should not vote for Lori Lightfoot. The stark image of shuttered schools turning into police training centers—instead of community centers, health facilities, literally anything else—should convince anyone that Lightfoot does not share a progressive vision for Chicago’s future. She offered a few other specific proposals that make clear, without question, her vision would increase incarceration and expand private, non-transparent partnerships within the Chicago Police Department. In addition to her schools-as-police-academies idea, Lightfoot proposed that we reduce gun violence by increasing federal prosecution for gun crimes. “We don’t have enough prosecutions. They’re more afraid of federal prosecutions.” Increasing federal gun prosecutions has been a goal of the Trump administration, one that has resulted in nonviolent Black defendants being targeted. Lightfoot—let alone Trump—has yet to acknowledge how this proposal would inflate our federal prison population, or whom “they” is referring to. I imagine that she’s referring to young Black men. We should question her approach and her experience as a federal prosecutor in light of the lived experiences of Black teenagers and young adults who have faced gun charges. We might realize that for many young people who are caught in a cycle of court, prison, and death: the threat of federal prosecutions will not stop gun violence. Her past shows that she will not be responsive to calls for progressive reform and police accountability. Lightfoot was the head of the Office of Professional Standards, which was the city’s first attempt at a police oversight agency (a precursor to the Independent Police Review Authority, which begat the current Civilian Office of Police Accountability). Between 2002 and 2004, only 1.8% of complaints made by civilians against officers were sustained, according to data from the Citizens Police Data Project. Officers who used excessive force had a four in 1,000 chance of facing serious discipline. Lightfoot opened her remarks by saying that on “on day one” she would call Chicago Police Superintendent Eddie Johnson to support him on his “mission to serve and protect” and reduce gun violence. She does not want to get rid of Johnson: “I don’t want to make him a lame duck and pander to the crowds that want him gone.” The “crowds” presumably refer to organizers and readers of papers like the Weekly, which recently printed an investigation into Johnson’s undeniable history of tolerating and approving of misconduct in partnership with the Intercept. I am skeptical, then, of Lightfoot’s potential effectiveness in future negotiations with the Fraternal Order of Police on behalf of the public, or in using the opportunity of a Consent Decree to change priorities of the CPD. There was not much pushback against Lightfoot’s proposals within the UofC setting. Of course, Lightfoot’s vision would benefit the UofC enormously; she called for more investment in Strategic Decision Support Centers—policing centers where analysts from the UofC advise police commanders on where to deploy officers—saying the Crime Lab sponsored initiative “does more than our detectives can do alone.” Her vision, like the Crime Lab’s, focuses on reducing gun violence through more targeted policing. Progressive organizers believe that we will not police our way out of gun violence. To Lightfoot’s credit, she spoke first, right after the Crime Lab director Jens Ludwig introduced the subsequent conversations about “public safety” at large with a narrow framing about gun violence. Ludwig presented a slideshow that proposed how pervasive gun violence is driving Chicago’s depopulation. What Ludwig presented was not questioned by the interviewers or candidates, and possibly limited the imaginative potential of a conversation about various factors in public safety. Keeping with the traditions of UofC inquiry, the discussion and audience was largely removed from neighboring South Side neighborhoods; the neighborhoods that struggle with public safety were the subject in question. Preckwinkle and Lightfoot showed themselves, for the first time in this campaign, in sharply different approaches to public safety. Until this event, they have campaigned on similarly progressive rhetoric and proposals around public safety, and their differences have been hard to distinguish for many in the city. On a national level, the runoff election between two Black women has been seen as a progressive win, a rebuke of the Emanuel and Daley eras of heavy policing and school closures. And, it is. We will have a Black woman mayor, and that is an incredible, historical first for Chicago. That fact is not enough to deliver us to a progressive future. Preckwinkle will not radically transform the city; she said last Wednesday that she would add more community police, more training, and more Black and brown detectives. She did, however, focus more on addressing the root causes of violence, and recalled her experience as a teacher who attended students’ funerals. In her closing statement, she said, “We allow kids who have the least privilege to have the least invested in them. We have challenges and the root is our willingness to invest in children.” She will approach our city’s most painful issues with consideration and careful compassion, and she has shown to be responsive to organizing pressure. She is the mayor that progressives should want to organize under. Lightfoot has benefitted from a sharper communications team that has cast her as an outsider, with more inspirational soundbites, and the public believes it. In truth, Lightfoot has never been held accountable to a public that elected her; all her positions in government were appointed by Emanuel or Daley—and before that she was a federal prosecutor, then a corporate lawyer. Lightfoot has long protected and served policing and prison institutions, and has now made clear that she continues to do so. Maira Khwaja researches policing and safety at the Invisible Institute and is a contributor to the Weekly. Her political opinions do not reflect the views of the Invisible Institute or the Weekly. We need a holistic approach to bridge the community and the police. That being said, I fully support harsher prison sentences for repeat gun offenders and the use of schools for mental health facilities for our damaged inner city youth. I ran for alderman and lost but now i feel unencumbered of the responsibilities associated with being a steward of this fine city we call Chiraq. I am waiting in the shadows for the next LaQuan type scandal to make me a national activist ever since ole jessie jackson got the shakes. A progressive vision for the city absolutely does mean a radical reimagining of the funding that the Chicago Police Department receives *at the expense of* infrastructure development and community investment in Black and brown neighborhoods. A progressive vision understands that Black and brown people, particularly the young, in this city are overpoliced and underresourced and it understands that the only way to ameliorate that is by intentionally investing in the people and institutions that support the vitality of communities of color. Throwing money at the very entities and institutions that destroy families and collapse communities–police that abuse and kill residents and prisons that psychologically and economically handicap people–is not a strategy of community investment and the decision to continue to do so is a tacit admission that Lightfoot and other city planners have absolutely no real interest in providing solutions that are supported by social science and sociological research, much less the desires of long-time residents and community members. There isn’t a universe that exists where such a strategy would represent sound or responsive governance. I could go on and on describing what “anarchy and chaos” look like in Black and brown communities in this city, the vast majority of which is the result of massive structural neglect and racist disinvestment. You may think “better training” is a potential solution but no case has yet been made for why a department, which incurred $113 million in lawsuit settlements last year and which depletes the city’s resources to the tune of $4 million per day, needs an additional $85 million gift in the form of a building when “bias training” at best requires a rethinking of policies, practices, and personnel, *NOT* a new building. Throwing a building at a problem that is, first and foremost, caused by systemic racism and deprivation not only doesn’t address the problem as stated, it’s fiscally and environmentally unsound; that Lori wants to repurpose THIRTY-EIGHT shuttered schools and possibly transform them into live-fire training grounds (because let’s be clear “police training” can mean and encompass a great many things) is equally inane if the objective is actually rehabilitating these communities for use by their current Black, brown, and low-income residents. The author is quite correct that in making such a gesture Lori not only demonstrates that she has no interest in governing in a way that is responsive to communities of color, she’s actually intentionally committing herself to a posture of antagonism. This is an order of magnitude different from anything Toni Preckwinkle is doing and has said and it is not something Lori should be praised for. The issue is not and has never been “How can we best tinker with police training so that officers are better at concealing their racist impulses?” but rather “What is it about the culture of policing that promotes persistent violations of rights, encourages inhumane assaults on residents, and ensures that abuses go unchallenged, unremarked upon, and without community input?” That requires a nuanced and evidence-based approach and if you think a slick new facade and a little bit of mortar does the trick, I have a bridge to sell you. Jeremy, You’ve written about the only really sensible thing I’ve read here. Unless I’m mistaken, a progressive vision for Chicago’s future doesn’t mean the end of policing and a city descending into anarchy and chaos — but it does mean a city in which the police don’t reflexively shoot at young African-American males and patiently talk down agitated whites. That is a future that requires, at the top of our priority list, far better police training, including far more training to help new police understand their own innate racial bias so they can compensate instead of allowing it to bleed into their policing. If the current West Side police academy proposal isn’t the answer to improving police training — and there’s always a land use conversation to be had around large development — then another answer needs to be found, and Lightfoot should be praised, not castigated, for proposing creative alternatives to the current proposal for consideration. The author writes as if police training facilities are inherently bad, militaristic compounds in which new jack-booted thugs are readied to go out and harass communities of color. This is not what last summer’s Federal consent decree envisions or requires — and our city is in dire need of well-trained police who can work with communities, instead of against them, to preserve order and harmony and to keep all of us safe. I would like to know the author’s thoughts on how to improve training of police, if not in the proposed new academy and not in smaller academies established in shuttered schools. Warren silver said it best. 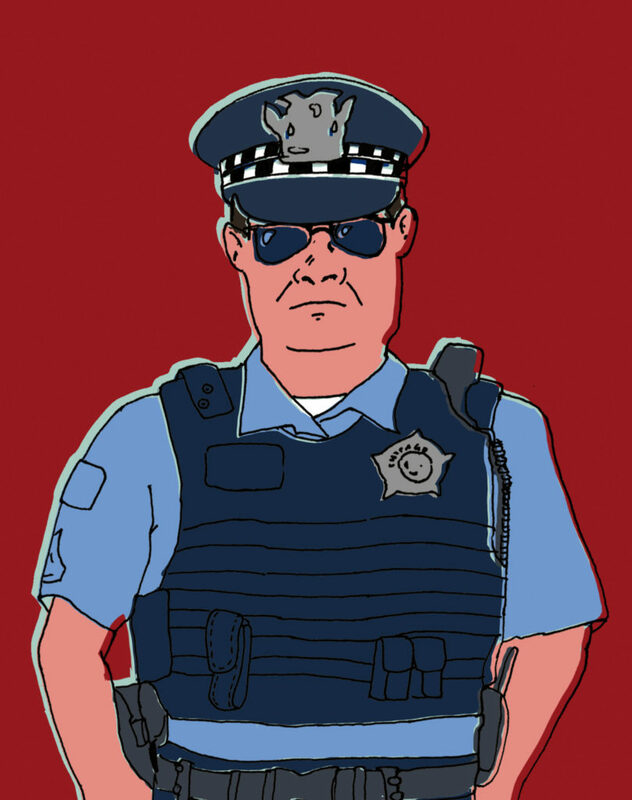 Police need training, and I completely agree the current plan, in not working with the community, in the “hey Chicago, I know what’s best for you little people here’s a giant police academy!” — bad. But cpd is in desperate need of training! Anti bias, de-escalation, a million other things. If the problem is bigger than training I wish you’d have made that argument. You have fueled my decision to vote for Toni Preckwinkle. Thank you. If cops were abolished Hyde Park would be the first to go. They should spend money educating people, instead of policing them. I agree with Earls statement, and would add that the idea of police training facilities spread throughout our neighborhoods has the potential of helping to humanizing both the people living in our neighborhoods, and the police working in our neighborhoods. This is to assume that police being trained in these neighborhood training centers will be interacting with the community on a daily basis, and that most interactions with the average citizen will not involve policing activities. I also think having more police coming from, and choosing to live in our neighborhoods can only result in a better relationship between the police and the community. People are people, and all sides can do better. My question is.. What can be done right now to make the future better for everyone in our city? I meant to agree with Warren Silver’s post. I agree with Warren’s statement, and would add that the idea of police training facilities spread throughout our neighborhoods has the potential of helping to humanizing both the people living in our neighborhoods, and the police working in our neighborhoods. This is to assume that police being trained in these neighborhood training centers will be interacting with the community on a daily basis, and that most interactions with the average citizen will not involve policing activities. I also think having more police coming from, and choosing to live in our neighborhoods can only result in a better relationship between the police and the community. People are people, and all sides can do better. My question is.. What can be done right now to make the future better for everyone in our city? As a 61year old white lifelong Chicago resident, I think Lori Lightfoot would be the best decision for the whole city. In my opinion she not all smoke and mirrors. I like the way she thinks. However, promises made prior to an election may disappear after the election. Rent control in every major market it’s been implemented has been absolutely disastrous for renters. See San Fran, Portland, or New York. Lightfoot lost my vote in the WTTW debate when she said she didn’t support rent control, whereas Toni was open to a discussion about it. Affordable housing, in light of what the Lincoln Yards and the 78 discussions propose, is a huge issue and I was expecting more.